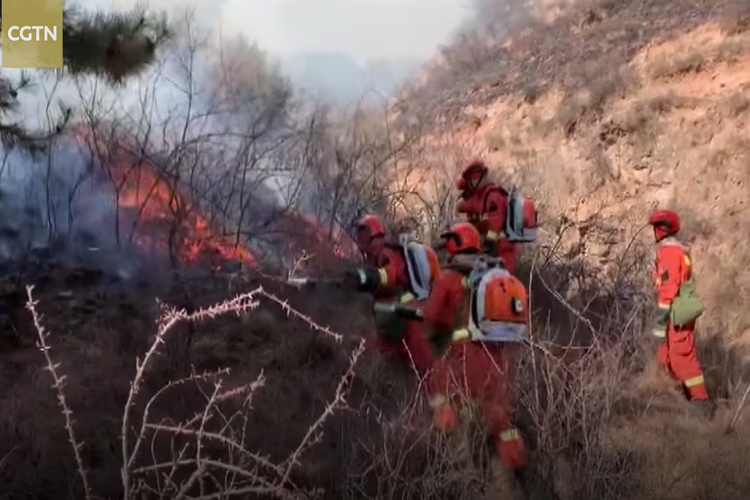 Nearly 700 firefighters are battling a forest fire in a rugged mountainous area in Sichuan province. Some videos showing their wildfire tactics at the link above. I thought the ‘firing squad’ with multiple leafblowers blowing the fire back into the black was an interesting approach. I’ve been watching this for a week now. Not sure how to address the fact 27 of our own of our own were lost … Plus four others. Brush apes home or abroad, RIP. Sad day. Last Monday. Shame on us for not acknowledging.